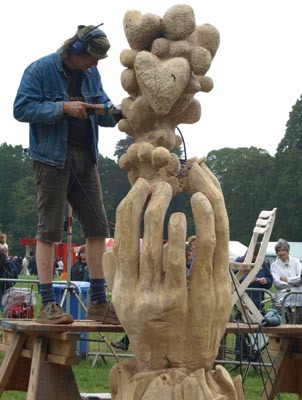 Westonbirt's Festival of the Tree is one of those special events which woodcarvers are drawn to every year over the bank holiday in August, and it's very easy to see why. For a start, you couldn't want for a better setting. You can't help but marvel at the vast collection of trees from all parts of the world: from the smallest to the tallest, the rarest to the most popular, and the ornate; all species living and working together. 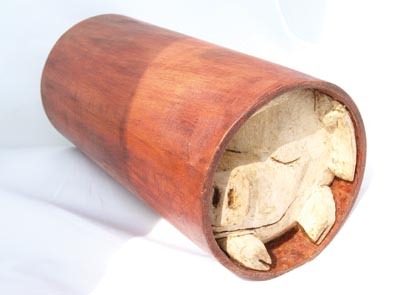 Secondly, the festival itself is unrivalled in what it has to offer for the carver. 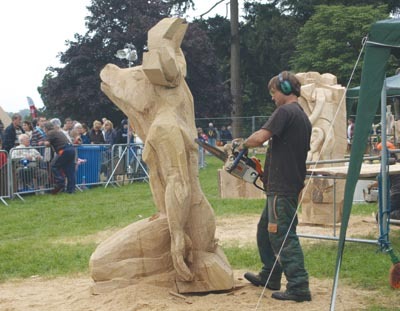 From the many marquees housing displays of woodcarvings, stalls selling timber, tools and everything you could ever want as a woodcarver, and the many demonstrations throughout the week, topped only by the remarkable chainsaw carving of Sculptree, a woodcarver is in carving heaven when visiting this splendid event. This article sets out to give you a flavour of the event. If you have never been before, do try to go in the near future to see for yourself the magic that is the Festival of the Tree. 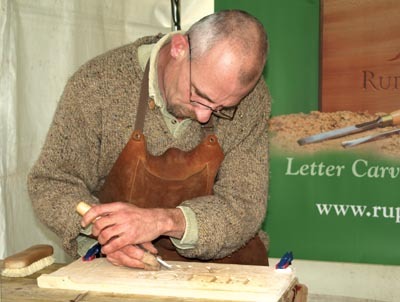 The Woodcraft Exhibition runs over the bank holiday weekend of August during the Festival of the Tree where various companies such as Classic Handtools, Auriou, Geisler Moroder, Flexcut, and West Dean, band together in one large marquee. Visitors are treated to masterclasses, demonstrations, and a chance to chat to the experts, plus the opportunity to buy direct from manufacturers. 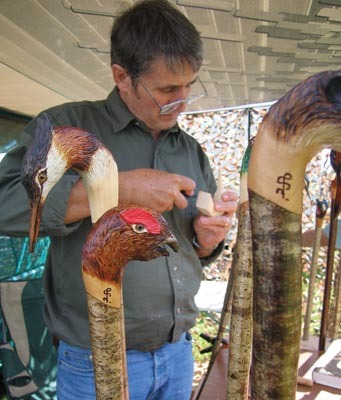 Elsewhere around the arboretum, other marquees are set up to house carving and woodturning clubs, and stalls are in abundance selling crafts, tools and wood related products. There is even the opportunity to purchase felled wood from the arboretum to make something special when you get home; I picked up a lovely section of yew (Taxus baccata) which I'm currently working into an abstract piece to hang on a wall at home. 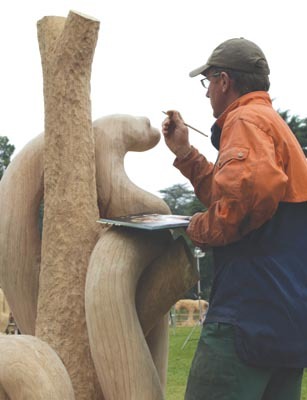 The festival wouldn't be the same without the presence of the British Woodcarving Association (BWA) and this year their marquee proved as popular as ever, thanks largely to the Westonbirt Trophy competition. 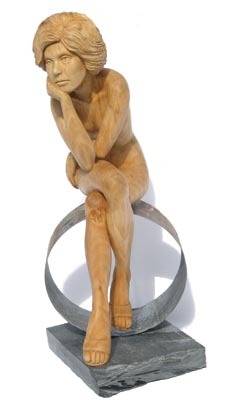 Members of the association are invited to carve pieces and visitors are given the opportunity to judge for themselves who they would like to win. 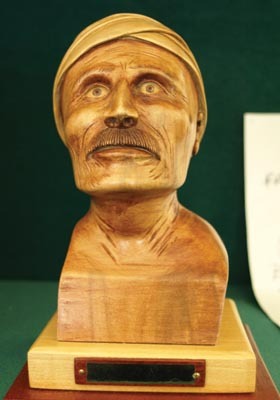 This year was a closely fought battle between Stan Kimmâ€™s Hector the Dog and Maurice Harper's Giraffe, but the Giraffe eventually came out on top to take home the coveted trophy. 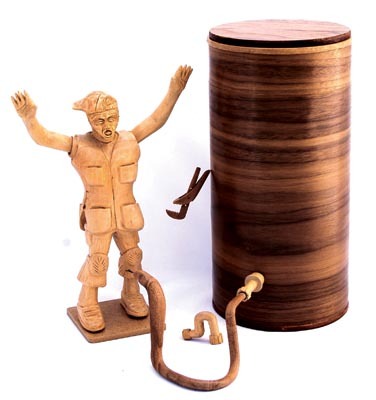 Another competition ran by the BWA entitled Pipe Dreams, in which carvings are designed to fit inside a cylindrical pipe, saw some interesting, amusing and intelligent thinking such as a concertinaed mobile spelling out the words Pipe Dreams, and a startled plumber discovering a snake in the pipes he is working on. 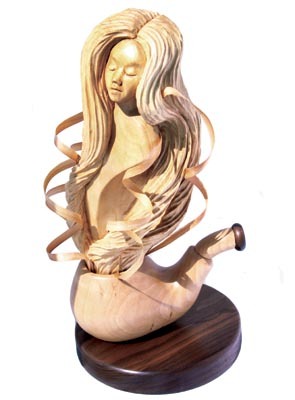 Woodcarving author Maureen Hockley won the Artistic choice for her Dream On, with John Robinson picking up the prize for Technical Choice. 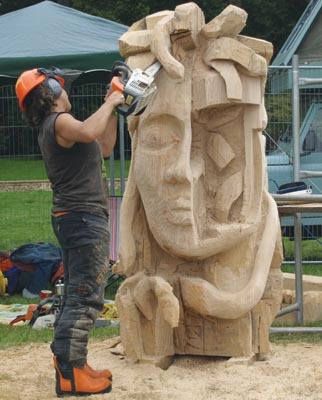 Perhaps literally the biggest event at the Festival of the Tree is Sculptree, where twelve chainsaw carvers spend the week transforming a recycled tree trunk into a beautiful work of art, using mainly chainsaws as their tool of choice. 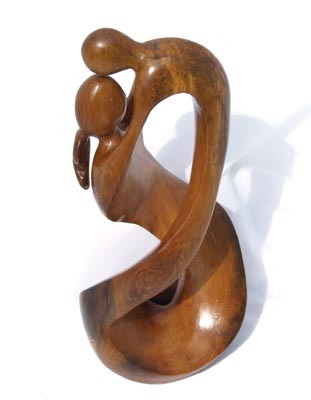 At the end of the festival, all the sculptures are auctioned off to the public. This year newcomer Dan Hunt's Massive Attack featuring battling stag beetles, took the most money, an impressive Â£6,200. Westonbirt Arboretum was established by Robert Stayner Holford in 1839, having inherited the estate from his father. His son, Sir George Holford, later expanded the arboretum in the 1880s. Leaving no heir, the estate passed to Sir George's nephew, the 4th Earl of Morely in 1926. By 1951, the arboretum passed to his brother but due to WWII, the grounds became chaotic and passed to the Forestry Commission who mapped, catalogued and labelled the collection for the first time, creating new areas. The arboretum is now centred around a unique collection of trees and shrubs, acting as a vital resource for conservation, recreation and education. 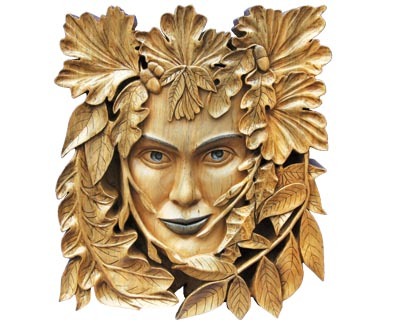 Westonbirt Arboretum stretches over 600 acres, housing over 3,000 taxa and over 15,500 individual specimens.